Banff, Canada is an absolutely wonderful destination. It is just gorgeous. We have been two spring breaks in a row now because we fell in love with its snow covered mountains. I hear the summer is even more amazing in Banff! There are always lots of fun things to do in Banff. We also returned to Banff because we loved the inviting, walkable streets of Banff and all the delicious food options! 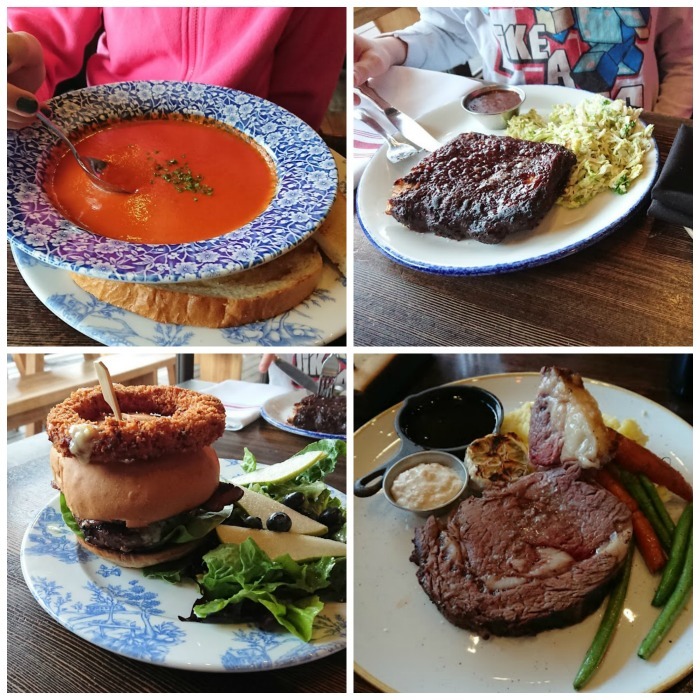 We did our research and then stopped at all the best restaurants in Banff, Canada and here I share my favorites with you. So good that we ate there both years that we visited Banff. 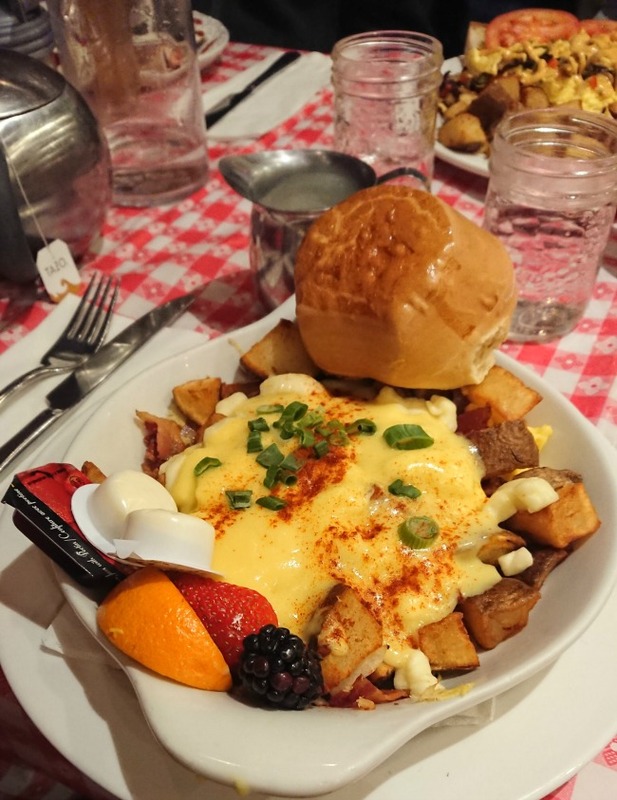 This Cajun Creole inspired restaurant is open for breakfast, lunch, and dinner and, man oh man, is it good! They have just what you want whether it is savory or sweet. Since there are 4 of us and we have eaten there 3 times, we have tried 12 meals and all them were delicious. We ate here at the suggestion of someone from Ski Big 3 and it is the perfect big breakfast to keep you full while skiing. 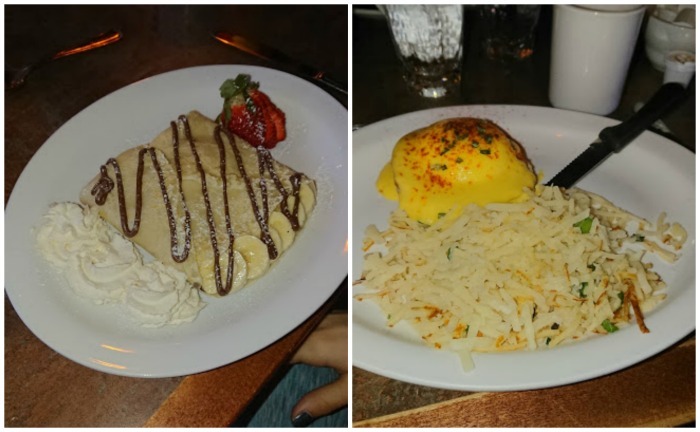 My husband and I got two different Eggs Benedicts (classic and chorizo) and my daughter got the crepes filled with banana and Nutella. 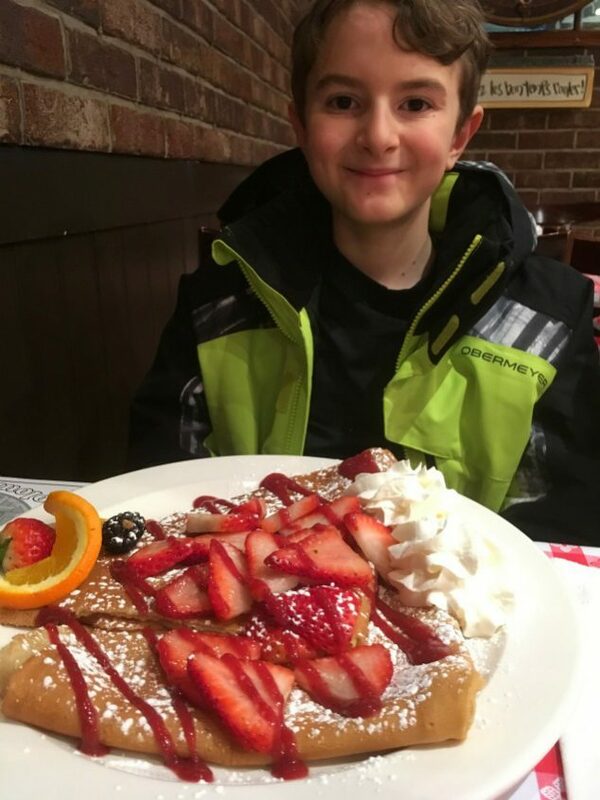 My son went with the kids menu pancakes and added on a side of bacon. We all came away happy! I’d like to try their steaks for dinner next time. Last year we ate at Coyote’s for dinner and we all enjoyed our meal. It is pretty small place and they have the grill behind a seated bar area so you can watch them cook if you like. It is a relaxed dining experience with an eclectic menu. I enjoyed my apple BBQ braised beef tacos and my husband’s fresh apple gorgonzola flatbread was so good. This year, we ate there for breakfast because my husband spotted a breakfast burrito that was calling his name. I got the Coyote’s French Toast which was sour dough bread stuffed Canadian back bacon & swiss cheese- the perfect combo of sweet and savory! My son got the Mountain Man. I think Park Distillery is my absolute favorite of the best restaurants in Banff, Canada. It feels hip and trendy and the menu is fresh with a modern flare. We enjoyed it the first year purely on the basis of the food and atmosphere but the second year we also got a seat by the upstairs window- what a view! My husband got the $25 burger both years. I got fish & chips the first year and it was good. The second year I got the prime rib and roasted veggies and mashed potatoes. That Alberta beef sure is delicious! My son had the macaroni and cheese with Nashville Hot Chicken the first year and the St. Louis Ribs the second year. My daughter went with a beet salad the first year and a tomato soup the second year. Make reservations in advance for this place! While you are there, you may also like to enjoy a flight of their Park Distillery house made spirits, very enjoyable! 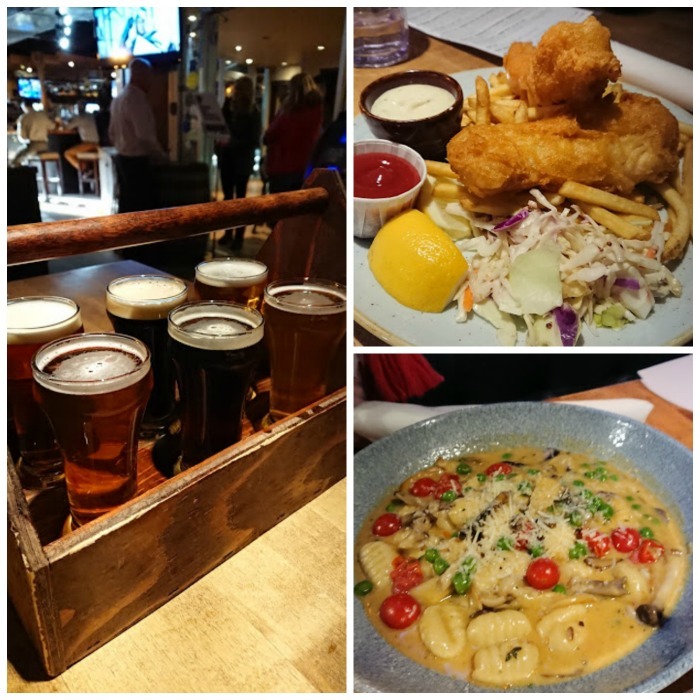 We tried the Banff Ave. Brewing Company and I have to say they make great food to go with great beer. My husband got an order of Fish & Chips and they were perfectly battered and fried. I split an Elk Brewer’s Pie with my son and it was so good that I forgot to snap a photo of it! My daughter got the mushroom gnocchi. It was all very good. My husband throughly enjoyed his beer flight too! A relaxed pub type experience. They had a great kids menu with real food choices- my daughter loved the Shepherd’s Pie and my son loved the fish and chips. My husband kept wanting to go back the second year to get more of the French onion soup but we weren’t able to squeeze everything in. It was a very upscale dining experience. It was quite good and one my ski instructor’s favorite Banff restaurants. He recommended the duck and salmon but we got the Seafood Buccatini and Alberta Prime New York- both delish. I felt a bit out of place with the kids though. It seemed more of a couples romantic night out type of vibe. 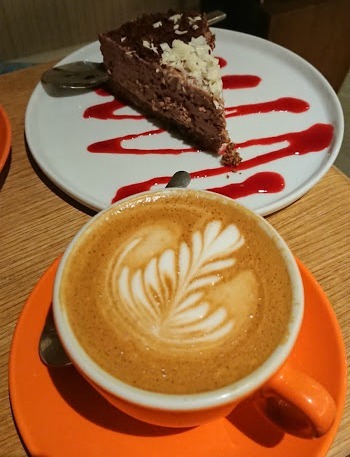 The White Bark Cafe (amazing cheesecake) and Evelyn’s coffee bar. 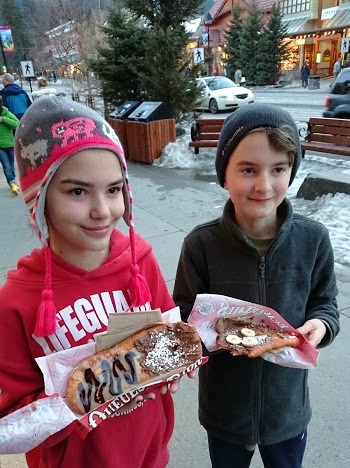 For dessert- Stop at Beavertails for a fried pastry treat with your favorite toppings. 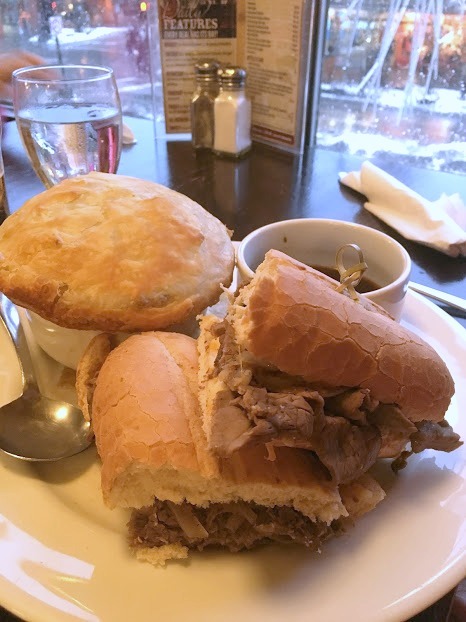 I hope you find my list of best restaurants in Banff, Canada helpful to finding yourself some great family vacation eats! What do you think are the best restaurants in Banff and what is your favorite meal to order at each?